Lawrence Wright’s 2006 history of the events that led to the 9/11 terrorist attacks receives a “limited series” adaptation in Hulu’s The Looming Tower. This two-disc set includes all 10 episodes, and the plot synopses come from the package’s insert. As a pilot episode, “Begins” needs to establish a mix of characters and scenarios. It does so in a competent manner, but I can’t claim it goes beyond that. Though “Begins” provides a decent launch to the series, it fails to turn into anything truly involving. After the literally explosive ending of “Begins”, “Religion” offers a pretty engaging tale. The episode sputters a bit when it concentrates on the tedious personal relationships among the characters, but the moments that deal with actions and investigations deliver good drama. As I noted when I looked at “Religion”, I don’t find the series’ interpersonal moments to offer much of interest, and that becomes a negative factor with “Made”, as it spends more time than usual with the characters’ private lives. We get enough substance related to the investigations to allow the program to work fairly well, but it fares less well than its immediate predecessor. I don’t want to get into broken record territory, but “Mercury” again suffers from an overemphasis on character areas. Maybe I should view this more as a docu-drama and less as a historical piece, but I continually wish Tower would focus more strongly on the facts behind the events and less on the lackluster interpersonal areas. Ah, Y2K – the 21st century event we thought would spell doom and gloom! The combination of the general investigation and the Y2K material adds some spice to the episode, and a lesser-than-usual focus on character drama makes this the most involving show in a while. Heading into the series’ second half, we get our clearest link to 9/11 so far, as “War” introduces Mohammed Atta, one of the main participants in that attack. That adds an element of foreboding to the proceedings, but too much of “War” goes back to relationships, with an emphasis on O’Neill’s infidelities. The focus on those bits makes this a lackluster show, although the ending adds power. As the series approaches its conclusion, it starts to lean more heavily on the investigatory side of things. That comes as a relief, and the view of the deepening threat helps turn this into an unusually effective episode. Given how close we are to the finale, “Special” focuses too much on those tiresome interpersonal relationships. We still get some good narrative movement but the time spent with the characters’ private lives undercuts its effectiveness. As the series’ penultimate show, it builds tension – at times. Unfortunately, it still digresses more than I’d prefer, and those moments mean a less than stellar show. No matter how hard Tower tries to invest in the characters, those bits just don’t register. Despite my general lack of enthusiasm about “Tuesday”, it did end well, especially via its use of real circa 2001 video of the actual people involved. These moments pack a punch and will create a creeping sense of dread in those of us who remember the events of 9/11. The final episode wastes no time in its exploration of the titular day, as the first plane hits the WTC early in the show. These moments boast power but the rest of the episode feels less consistent and doesn’t engage as much as I’d expect. Like “9/11”, Tower offers a generally good experience, but I admit it disappoints in the end. I suspect its creators felt the reliance on character information would add to the emotional power of the events, but that doesn’t occur – and doesn’t need to occur, as 9/11 continues to create a devastating impression all on its own. 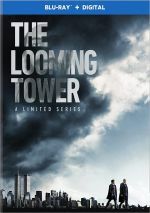 This leaves Tower as an interesting but not wholly satisfying series. The historical elements fare well but the rest sputters. The Looming Tower appears in an aspect ratio of approximately 1.78:1 on these Blu-ray Discs. The episodes offered positive visuals. No significant issues with sharpness developed. Some wider elements seemed a bit soft, but those instances didn’t dominate, so the shows usually provided crisp, distinctive visuals. I saw no jaggies or moiré effects, and edge haloes remained absent. Outside of some archival footage, print flaws were a non-factor as well. In terms of palette, the series opted for a fairly subdued feel, with an amber or teal sense much of the time. Within those choices, the hues looked well-developed. Blacks came across as dense and tight, and low-light shots demonstrated nice clarity. All in all, I thought the series delivered nice visuals. Expect fairly positive audio from the DTS-HD MA 5.1 soundtrack of Tower. The forward dominated, as the shows featured solid stereo music and a good sense of environment. Elements meshed smoothly and moved across the spectrum well. Music was bright and clean, while effects showed nice reproduction. Those elements came across as lively and dynamic, and low-end response appeared deep and firm. The episodes consistently boasted positive audio. This set includes a few extras, and we find audio commentary for two episodes. Alongside “Now It Begins…”, we hear from writer/creator Dan Futterman and director/creator Alex Gibney, while “9/11” features Futterman and director Craig Zisk. During these tracks, we hear about facts and liberties, story/characters, cast and performances, sets and locations, music, editing, cinematography, and related domains. Both commentaries offer a good array of reflections on the project and add useful material. Disc Two provides four featurettes, and these start with Divided We Fall. 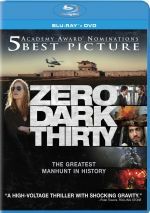 It lasts seven minutes, 13 seconds and offers info from Futterman, Gibney, author Lawrence Wright, former FBI Agent Ali Soufan, and actors Jeff Daniels, Michael Stuhlbarg, Wrenn Schmidt, and Peter Sarsgaard. “Fall” views the lack of cooperation between the FBI and the CIA and how this impacted US security. Though we get a few informative bits, “Fall” feels superficial in general. During the 11-minute, 28-second The Complexities of Character, we hear from Gibney, Daniels, Futterman, Soufan, Stuhlbarg, Schmidt, Sarsgaard, Wright, and actors Tahar Rahim, Sullivan Jones and Bill Camp. The show goes over cast and characters. It becomes a decent overview, especially when the actors share their thoughts. Ali Soufan: In His Own Words goes for 10 minutes, five seconds and features Wright, Soufan, Gibney, and Futterman. Soufan gives us notes about his experiences and how they reflect in Tower. The focus on the actual Soufan makes this an interesting show. Finally, Across Three Continents spans 10 minutes, 34 seconds and includes notes from Futterman, Gibney, Zisk, production designer Lester Cohen and director of photography Jim Denault. “Across” takes on locations, sets and cinematography. It becomes a fairly efficient look at the topics. At times, The Looming Tower becomes an insightful view of the actions – and mistakes – that led up to the 9/11 terror attacks. However, it spends far too much time with gratuitous character elements, and these blunt its overall impact. The Blu-rays provide positive picture and audio along with a decent set of supplements. Though generally good, Tower feels too spotty.